How to write Paragraph easily? Welcome to our writing sections. In previous lesson, you have learn from my lesson – How to Write short compositions, How to write letter, How to Write essay. In this lesson I will discuss in details about paragraph writings. and show you How to write Paragraph easily? To write various kinds of paragraph is one of the objectives of our students’ learning English language. But writing a good paragraph is not an easy task. In the case of students, writing different types of paragraph, is very important part of the English. However, to write a meaningful paragraph, it is not necessary that it should be written in a superfluous language with big, difficult words. One can express one’s feelings But writing a good paragraph is not an easy task. In the case of students, writing different types of paragraph, is very important part of the English. However, to write a meaningful paragraph, it is not necessary that it should be written in superfluous language with big, difficult words. One can express one’s feelings in plain, simple language while writing a paragraph. What is a paragraph? in plain, simple language while writing a paragraph. A paragraph is an important unit of composition. It is a group of sentences put in a systematic order. It may also be defined as a group of sentences that develops one’ particular idea. Introduction: A paragraph is an important unit of composition. It is a group of sentences put in a systematic order. It may also be defined as a group of sentences that develops one’ particular idea. In other words, a paragraph develops a topic. Nowadays, a paragraph is treated as a type of short composition intended to be written by students. However, it should have a systematic beginning, middle and conclusion. It can be an independent piece of writing on a particular topic or a part of a long composition. I am proud of being a student of this school. It is in the district of Jhenaidah. 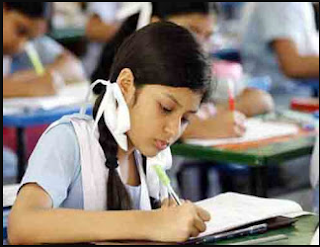 The school is famous for its good teaching and good results in the S.S. C.
Examination. I read in Bishoykhali S.M. High School. If we examine the group of sentences stated above, we’ll comment that is not is a paragraph because the sentences are not put in a systematic order, and so Idea is not developed in an orderly manner. Now let us rearrange the sentences. After the rearrangement of the group of sentences, we can easily agree that it has become a paragraph. Because here is a coherent arrangement of the group of sentences and the idea is developed in an orderly manner. It develops a topic. The topic is “The school I read in. For writing a good paragraph you must learn format and organize. Now I shall discuss about format and organization. Format and organization: A good paragraph consists of three important parts- beginning, middle and conclusion. These are the basic components of a paragraph. But a paragraph must be written in a single paragraph on a single idea. In the beginning of the paragraph, we may write a sentence like “Smoking cigarettes is a bad habit, This is the topic sentence, and “the had habit of smoking cigarettes,, is the controlling idea to which the writer will remain confined to write the paragraph’ This idea will read the writer to write the paragraph. 2. The middle: The middle of a paragraph consists of the sentences placed between the topic sentence and the last sentence in it. The sentences put in the middle are the developers of the topic or the idea of the paragraph. They support, elaborate and expand the idea given in the topic ,the middle of a paragraph may also be called the body of it. 3. The Conclusion: The last sentence in a paragraph is usually used as its conclusion. It logically concludes the idea developed in the middle. of the paragraph’ We should remember that the beginning and the conclusion of a paragraph are related to each other; there is a link between them. A paragraph must be written in one paragraph. The sentences in a paragraph should be put in the prosaic passage form, The sentences should not be detached from one another. The same point should not be repeated. It is better not to quote from any writer or philosopher. The sentences in a paragraph should be in the indirect speech. Though there is no hard and fast rule about the size of a paragraph, it may be limited within 100i5O, words. All the sentences should be relevant to the topic of the paragraph. The sentences should be arranged in the proper and systematic order. The paragraph should be written in plain English with common and, simple words. Oh Yes, don’t forget to share this lesson to your friends on facebook. twitter and google plus. Thanks for this article "How to write Paragraph easily?" really like to have you share some stories/information. I know my subscribers would enjoy your work. Knowledge World: How to write Paragraph easily?